It is no secret that women’s role in the workplace has been steadily rising since the 1950s. 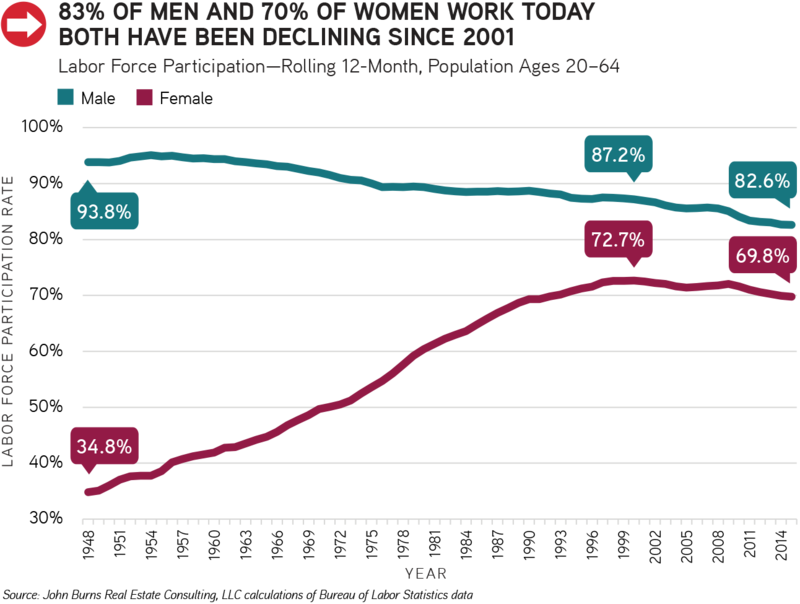 In fact, the percentage of women in the workforce has doubled since the 1950s, while the percentage of men in the workforce has fallen 11%. We have identified “The Rise of the Working Woman” as one of the top 4 demographic opportunities in our book, Big Shifts Ahead. So what do they want in housing? My husband and I are currently shopping for a new home. Let me provide my own personal situation as an example. 1. Location Must Save Me Time: In previous generations when the man was typically the head of the household, the location of the family home was primarily based on his employer. 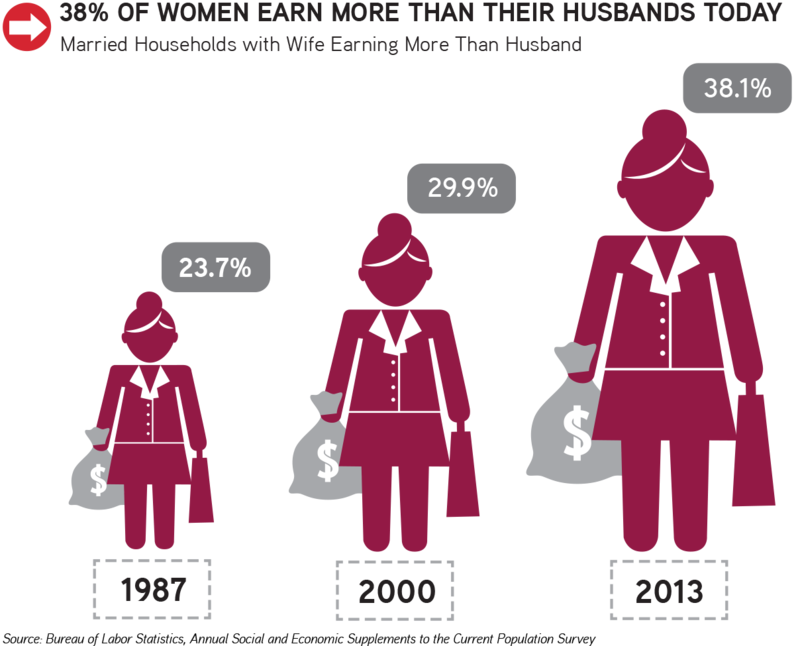 Today, approximately 38% of women earn more than their husbands, and the location of the woman’s employer is equally important. 2. Home Office: Although I have a work office, a functional home office is very important. On days when I travel and want to get in a few hours of work before hitting the road, or when I need to stay home to wait for a repairman, a functional home office is essential. In fact, according to our 2016 National Consumer and Product Insight Survey, approximately 20% of new home shoppers work from home three or more days a week, and 39% prefer a formal home office. 3. Family Considerations: The Great Recession caused many demographic shifts, and delayed marriage is one of them. I was born in the early 1980s. 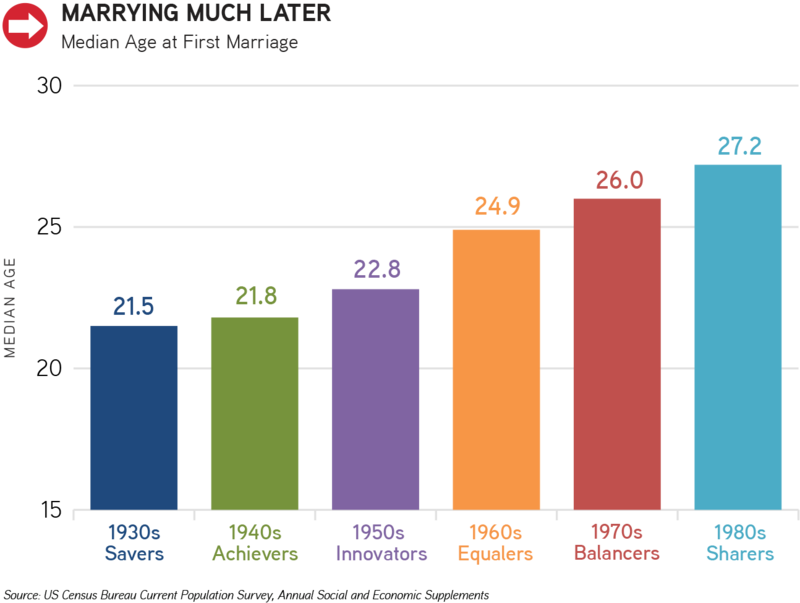 My generation, “The 1980s Sharers,” is marrying 1.2 years later than those born in the 1970s, and a whopping 4.4 years later than our 1950s Innovator parents. I married within the past year, doing my part to continue that trend! As my husband and I look for a new home, we consider room for our three dogs and a future family. We want a large yard, a master bedroom on the same level as secondary bedrooms, and a “bonus” room, which can serve as a man cave for the time being. Safety, schools, and storage are key considerations as well. 4. Proceeding with Caution: Like many Sharers, I was a victim of layoffs during The Great Recession, and the financial and personal difficulties during that time remain fresh in my mind. (Thankfully, I didn’t buy that loft condo in downtown Chicago in 2007, or the repercussions would have been even worse.) As my husband and I look for a new home, we are focused on a price bracket much below what our combined incomes can afford. 5. Striving for Perfection: Like more than half of new home shoppers today,* my husband and I cannot find what we are looking for. Call me picky, but when it comes to a purchase we don’t necessarily have to make right now, we are going to ensure it fits both of our needs! We need a larger house with a private home office in a location that minimizes driving. We are fortunate that we live in an area (Southwest Florida) where we can afford to purchase a home in a good school district, but all we can find are resale homes with dated floorplans in neighborhoods with strict pet restrictions. We would pay a nice premium for a new home, but just can’t find any that suit all of my aforementioned needs. Why? For more information about demographic shifts, order your copy of Big Shifts Ahead on Amazon. For further information regarding Consumer Insights, contact Mollie Carmichael at 949-870-1214 or mollie@jbrec.com. 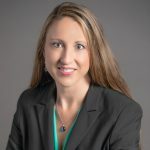 For insight regarding Florida’s housing and demographic trends, please contact Kristine Smale.